Most larger versions of the images displayed here will open in their own window because of the picture size involved. 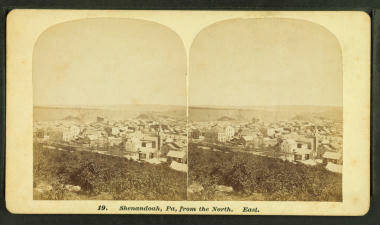 Shenandoah from the North, looking East, during the 1870's. This picture was taken by Michael Dockweiler and is part of the New York Public Library Gallery. 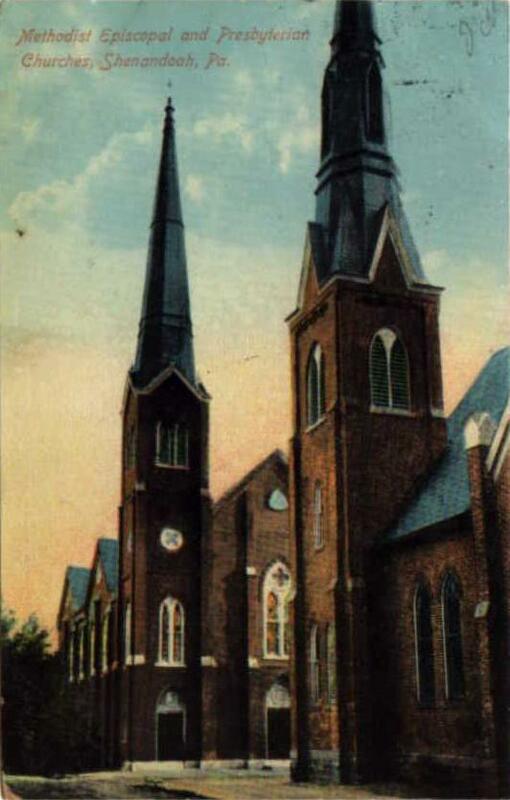 The original St. Casimir church can be seen on the right of both photographs. Clicking the image above will display a larger version. 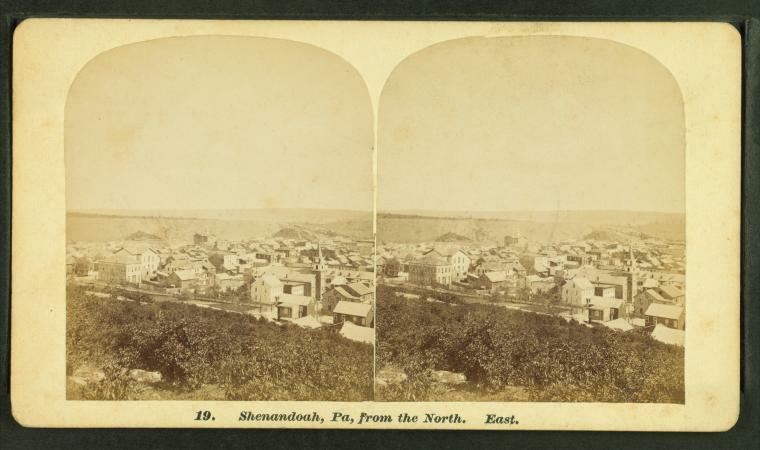 Shenandoah during the 1870's. This picture was taken by Michael Dockweiler and is part of the New York Public Library Gallery. Click the image above to display a larger version in it's own window. 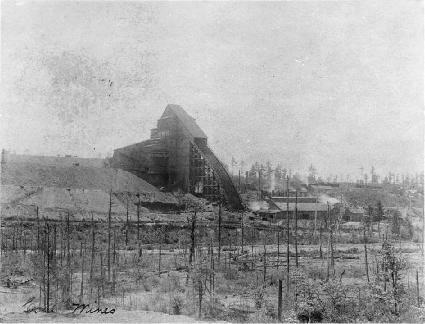 A very rare image of the fire of 1883. 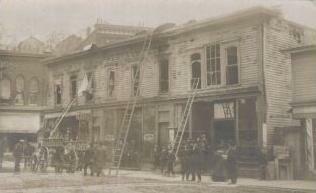 The fire was accidentally started by a maid working in the United States Hotel. The fire destroyed 300 properties and forced 500 people to flee their homes. 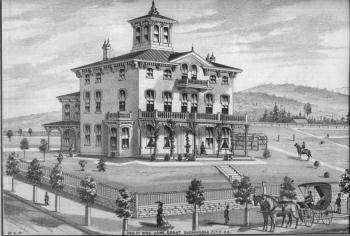 The Shenandoah City residence of Jane Grant, circa 1880's. Click the image above to view a larger version of this amazing structure. 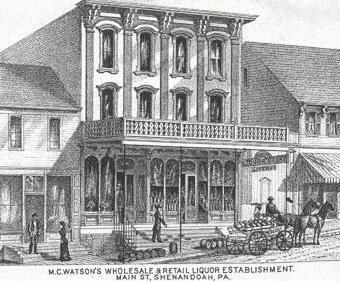 An early Shenandoah retail shop, circa 1880's. 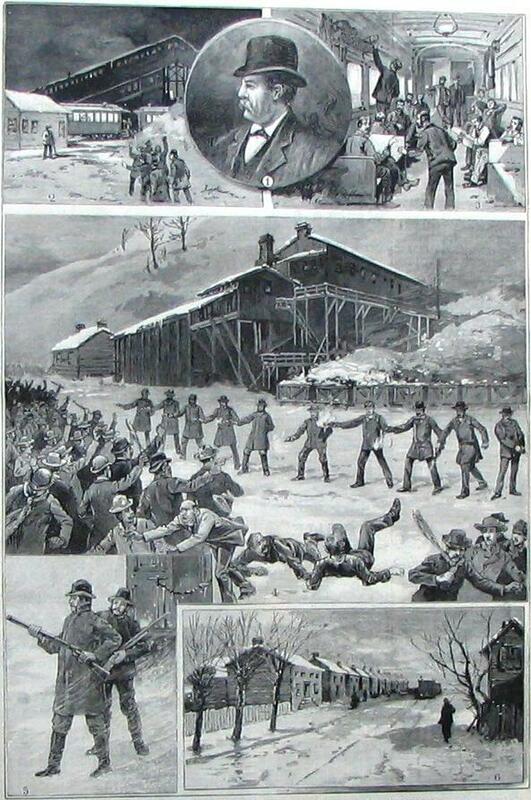 This collage of images is an engraving titled "THE MINERS RIOTS AND SHENANDOAH, PENNSYLVANIA", published in "Harper's Weekly" February 1888. The largest scene (No. 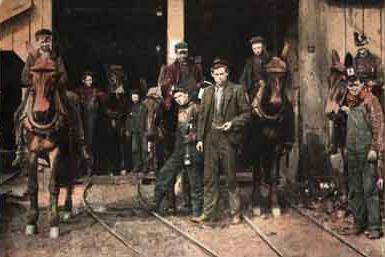 4) depicts the confrontation at Kehley Run Colliery. Click on the image for a larger version, it will open in a new window. 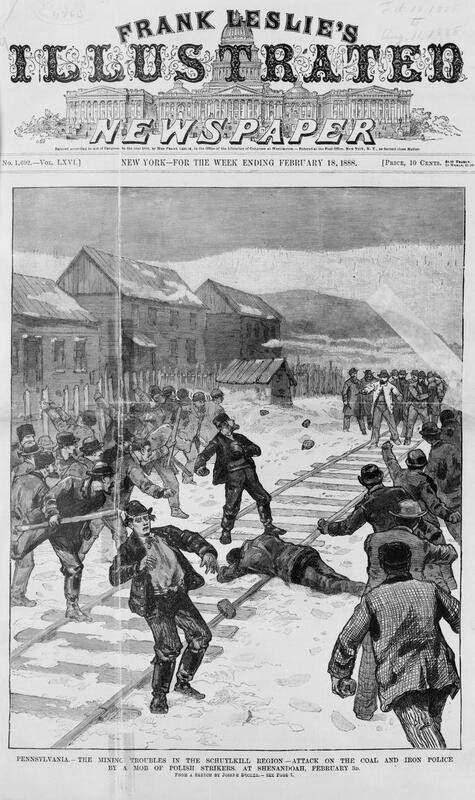 The cover of Frank Leslie's New York Illustrated newspaper February 18, 1888. 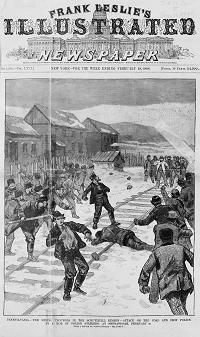 The illustration shows the "attack" on Coal & Iron Police. 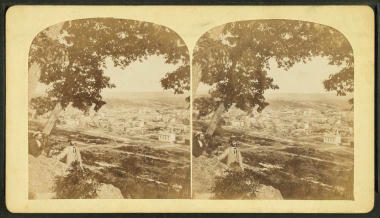 A larger version can be viewed in it's own window by clicking on the image above. 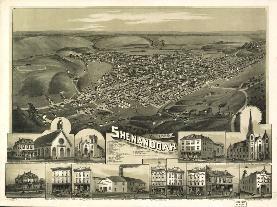 An artist's rendering of Shenandoah in 1889. Click this small image for a slightly larger picture. 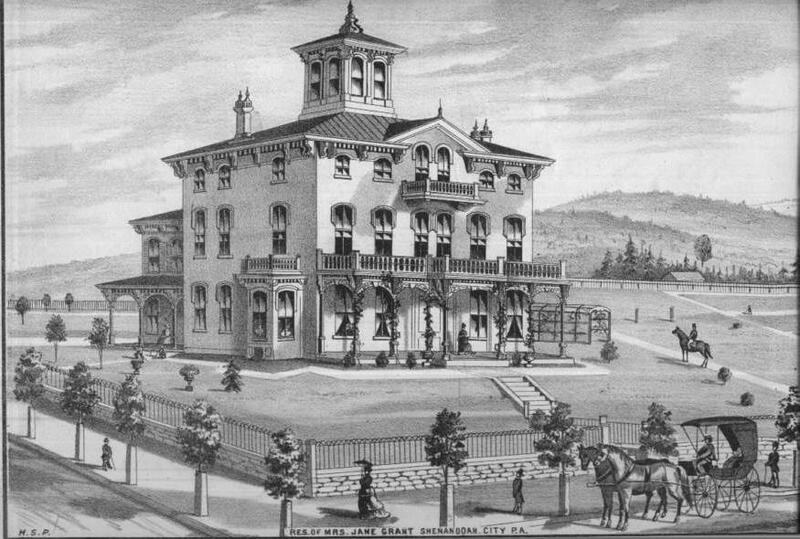 CLICK HERE for a close up of the buildings featured at the bottom of the picture. Both will open in a new window. A widely used photo showing the inside of the Kohinoor Breaker, circa 1891. Just click on the picture above to view a larger version. 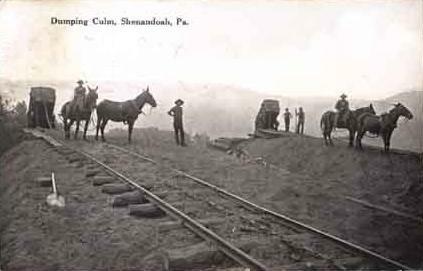 In 1891 this photograph was taken of trolley track being installed for the Schuylkill Railway (Traction) Co., Shenandoah. 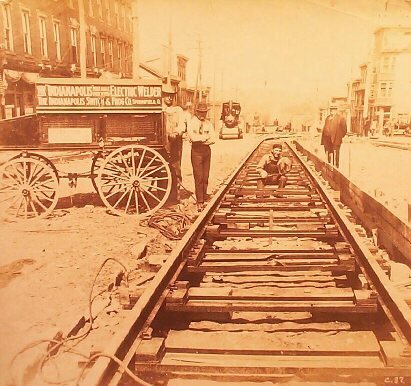 The photo shows the Indianapolis Switch & Frog Co. ï¿½ Indianapolis Welder, a steam roller that actually looks like a railroad steam engine, building, workmen, and tracks being installed in the middle of the street. Also posing for the picture is a welder with his welding hood or mask. 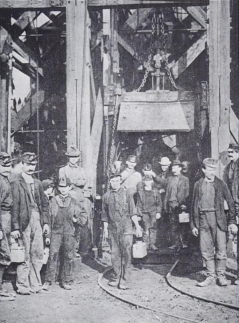 A Shenandoah Breaker in 1891. Click on the image above for a larger version. 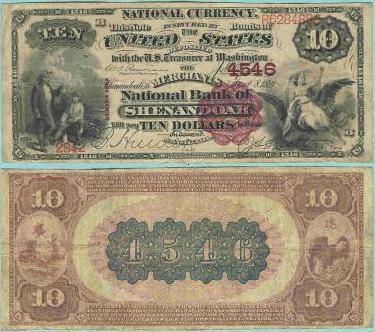 An extreemly rare $10 note issued by The Merchants National Bank in 1891. 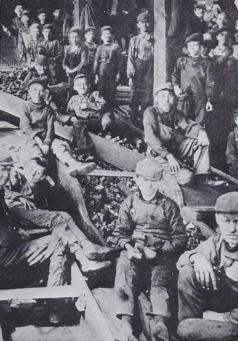 The scene on pay day at a Shenandoah Colliery, early 20th century. 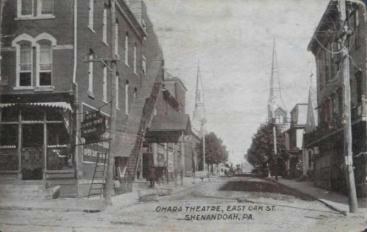 The Ohara Theater and East Oak Street at the begining of the 20th century. The old towering steaple of the First Methodist Church can be seen on the right. 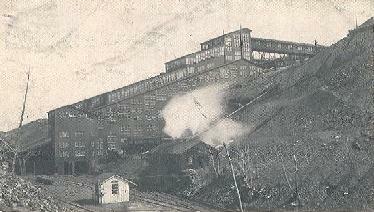 The West Shenandoah Breaker at the turn of the century. 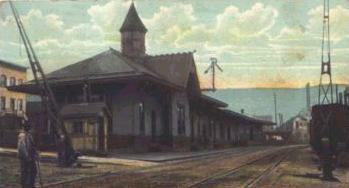 The Lehigh Valley Railroad Station, built around 1870. 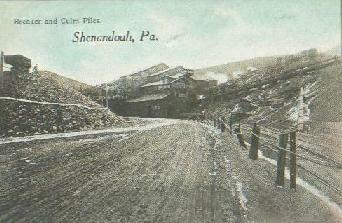 It served as the main passenger terminal in Shenandoah for almost 90 years. 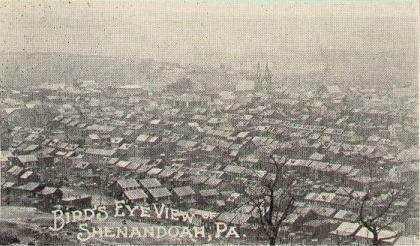 Shenandoah was also served by the Pennsylvania and Reading Railroads and was the only town in Pennsylvania to have three railroad depots. 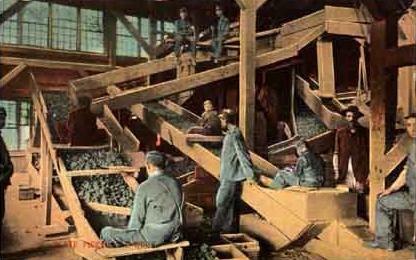 A colorized postcard from the early 20th century. Click on the image above for a larger version. 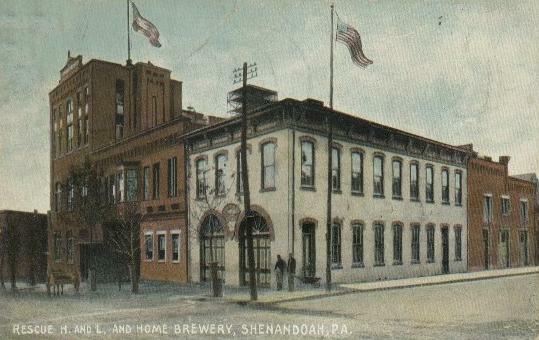 Another postcard from the early 20th century. This one shows miners dumping culm. 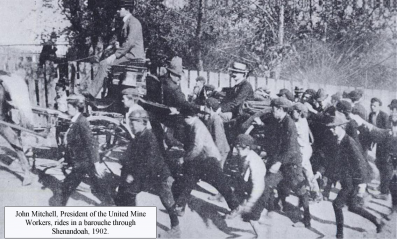 An image of Shenandoah coal miners bringing the mules up out of the mines. 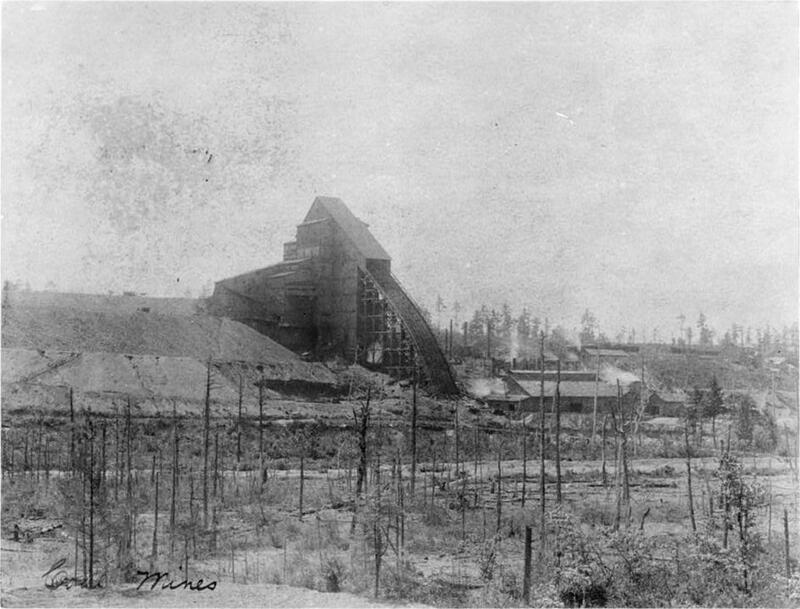 This image was taken sometime during the first decade of the 20th century. 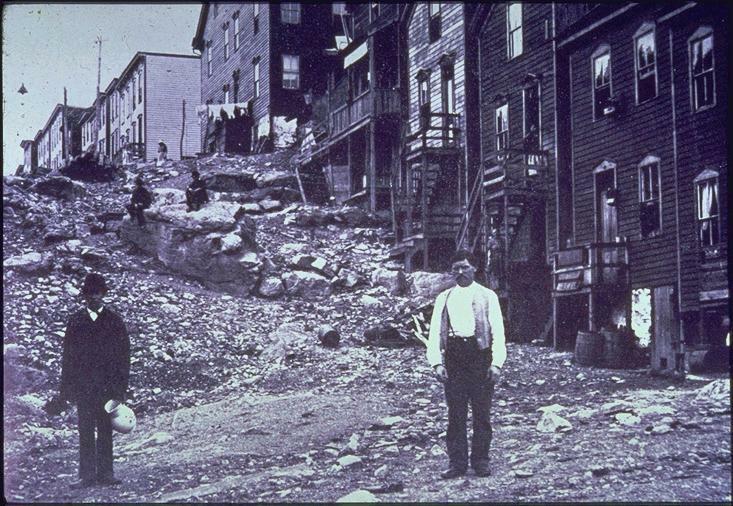 This picture of Shenandoah residents standing on a rocky street was taken between 1890 and 1900. The street is actually West Laurel Street and the large boulder in the rear with two men sitting on it can still be seen today protruding from the paved macadam. 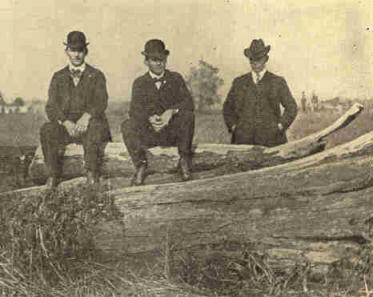 This picture of Shenandoah breaker boys was taken around 1900. Click on the image to see a larger version. 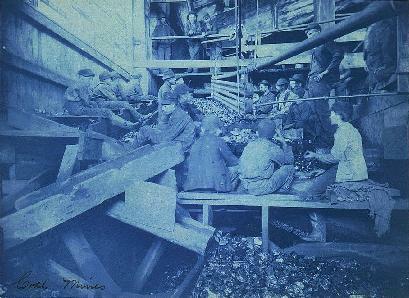 Shenandoah miners, taken around 1900. To see a larger version just click on the image above. 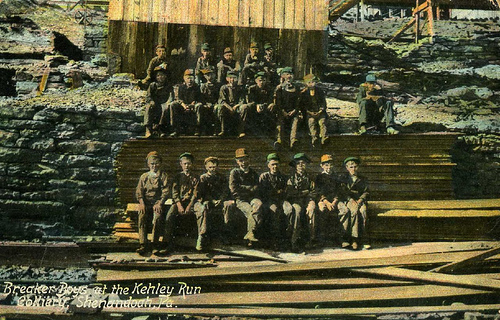 This postcard from the turn of the century shows Kehley Run breaker boys posing for a picture. Click on the image above to view a larger version in it's own window. A colorized photo of breaker boys taken in Shenandoah, early in the 20th century. 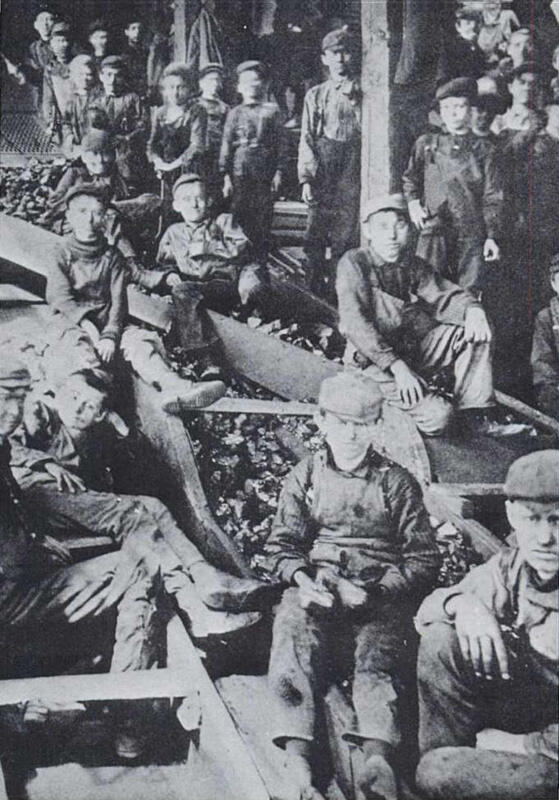 This photograph shows Shenandoah strikers in 1902, the year of the Bloody First riot. 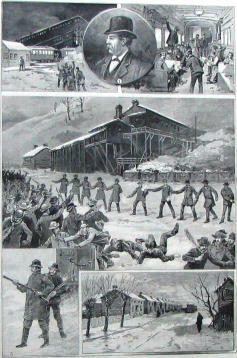 The Militia was sent out to keep the peace in Shenandoah during the strike of 1902. The encampment is on the northern outskirts of town. To see a larger version click on the image above. 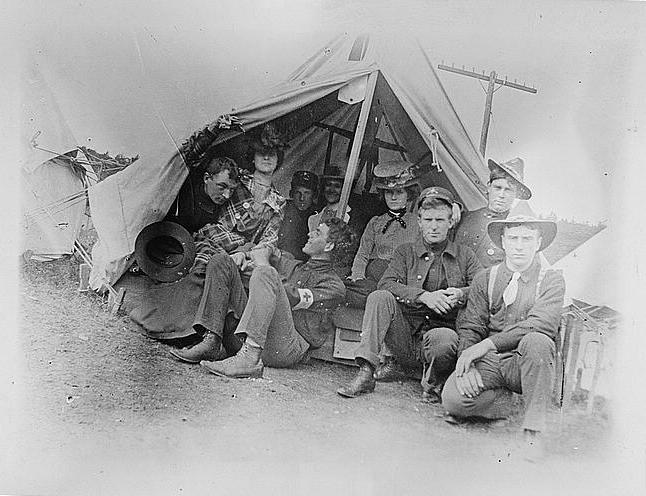 The Red Cross and a horse drawn ambulance are pictured here in camp. Click on the image above if you want to see a larger version. Soilders in camp with family & friends during the strike of 1902. Just click the image above to see a larger version. Col. Clements & General Gobin commanding the troops sent to Shenandoah in the coal strike of 1902. John Mitchell, President of The United Mine Workers, is surrounded by Shenandoah breaker boys as he rides through town in 1902. Click on the image above and a larger image will appear in it's own window. 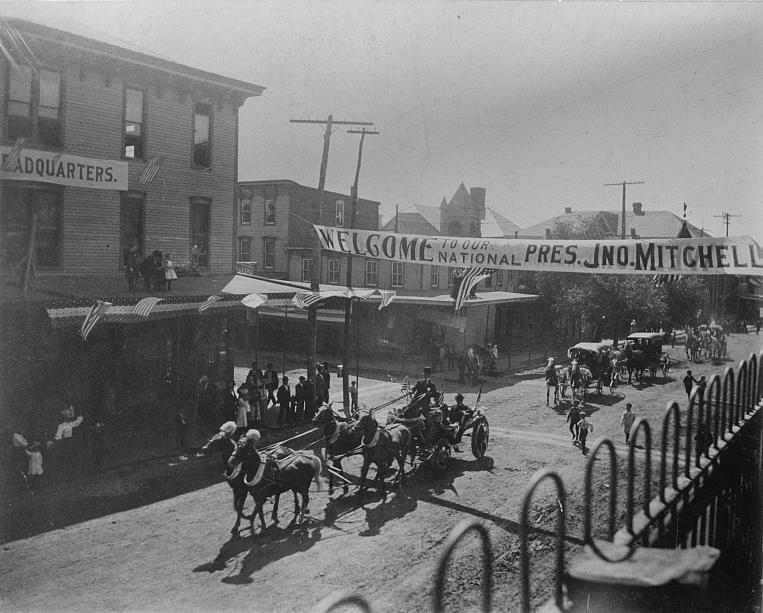 John Mitchell's arrival in Shenandoah, 1902. 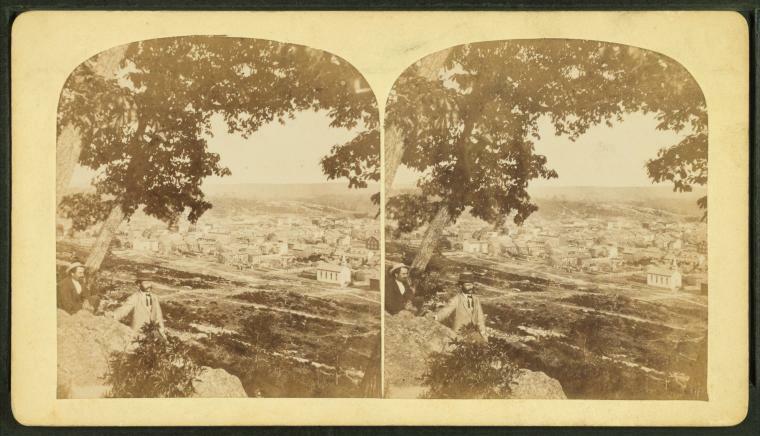 The image above is from the Library of Congress. Click on the image to view a larger version in it's own window. 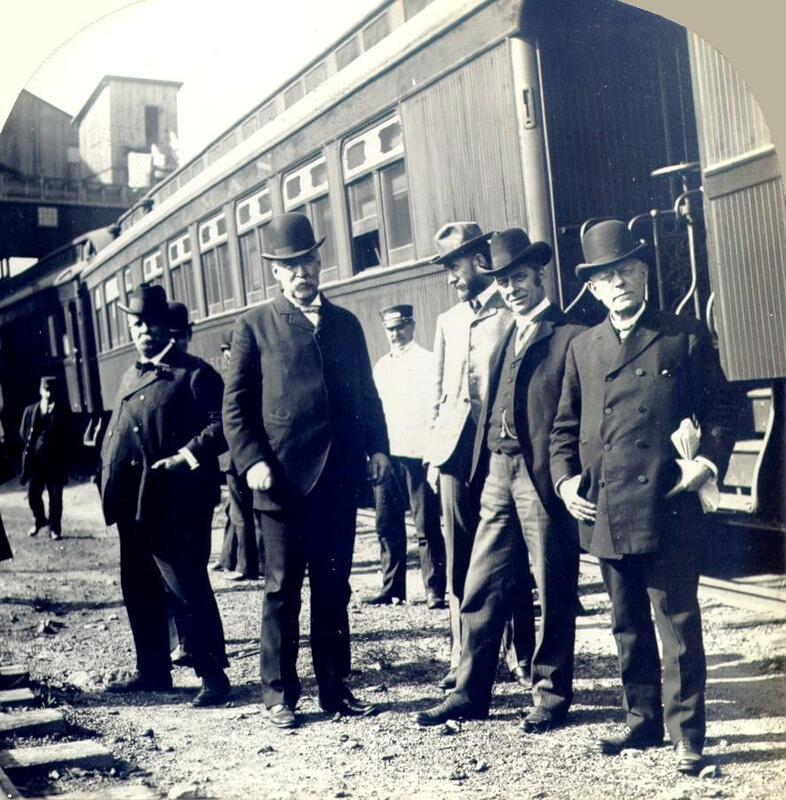 The Commissioners appointed to arbitrate the great coal strike. You can click on the image above to view a larger version in it's own window. Some of Shenandoah's houses of worship, early 20th century. The picture of St. George's is particularly interesting because the belltowers have a very different look, this should aid in dating the image. Click on the pictures above for the full-sized versions. CLICK HERE for more images of St. George church. 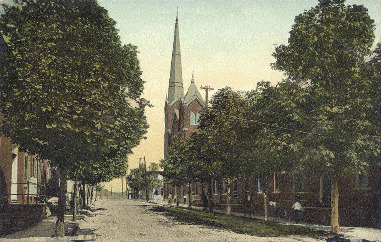 This early 20th century image shows the Methodist church along with the East Oak Street neighborhood. 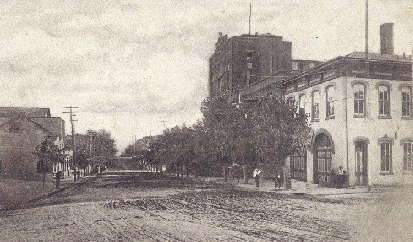 A rare picture of the Home Brewery taken in the early 20th century. The Rescue Hook & Ladder stands ready next door. Click on the image above for a larger version. 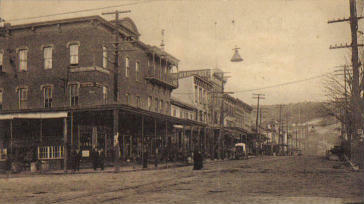 This picture, taken during the first decade of the 20th century, is looking south down Main Street. The Rescue Hook & Ladder can be seen on the right, next door to the Home Brewery. 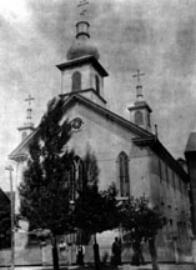 St. Michael's, America's first Byzantine Ukrainian Catholic Church, at the turn of the century. This is actually the first church. Later as the congregation grew a new house of worship was built on the corner of Oak and Chestnut Streets. 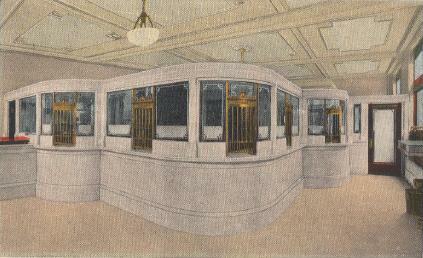 The main banking room of the Merchants National Bank, early 20th century. 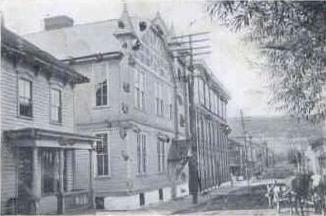 The West Street School House, circa 1900's. Jardin Street looking North, with the Phoenix Fire Company on the right, early 1900's. The Annunciation B.V.M. 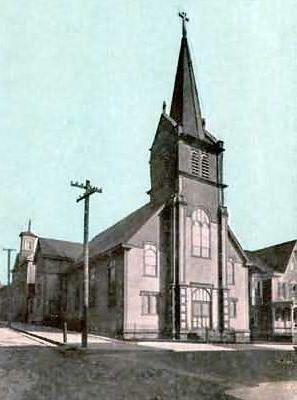 Church prior to 1910. 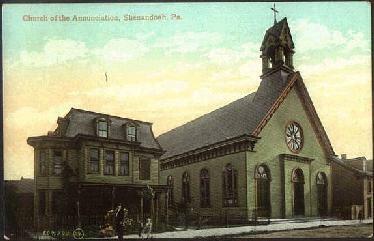 This church and rectory were damaged by mining operations and replaced in 1915. The new church would be destroyed by fire 10 years later. Click on the picture above for a larger version. 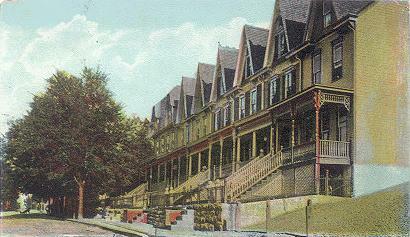 The image of a quiet Oak Street neighborhood taken from a postcard, postmarked 1906. 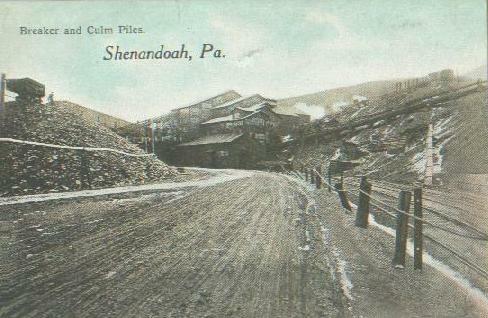 A postcard dated to 1906. The caption reads; "After working hours, Shenandoah, Pa." If you would like to see a larger version click on the image above. 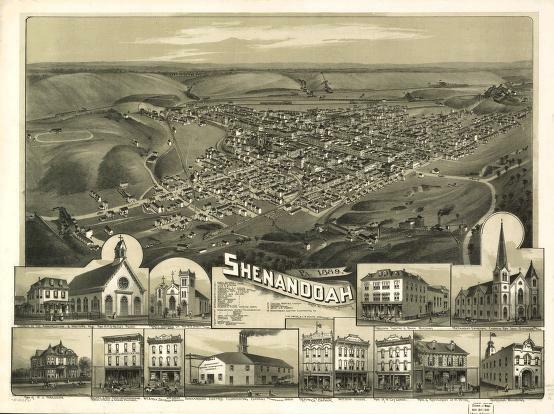 A "Bird's Eye View" of Shenandoah. 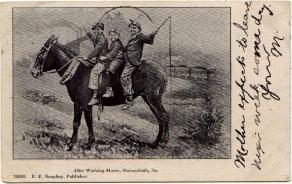 This image is from a postcard sold at Hooks & Brown Stationers around 1906. 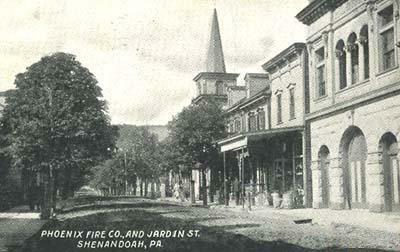 The Shenandoah Fire Brigade with firewagon respond to a blaze in 1906. 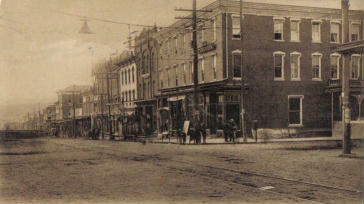 Main & Center Streets looking north, around the turn of the century. Click on the image above to see a larger version. It will appear in it's own window. 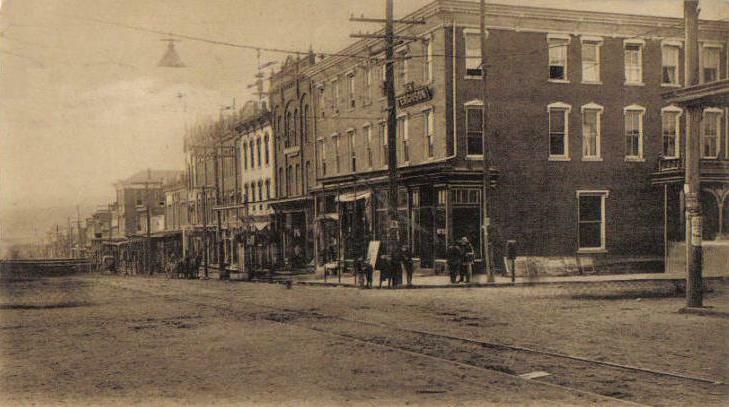 Main & Center Streets looking south, around the turn of the century. Clicking on the image above will display a larger version in it's own window. 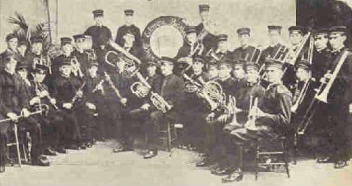 Shenandoah's Elmore Band in 1907. 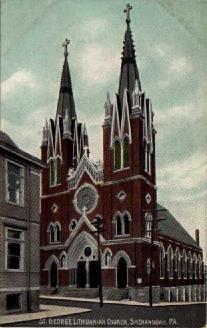 The Elmore Band was taught by Thomas Dorsey Sr..
St. Stanislaus Polish Church, on the corner of Cherry & West Streets, around 1907. If you click on the picture above, a larger version will open. 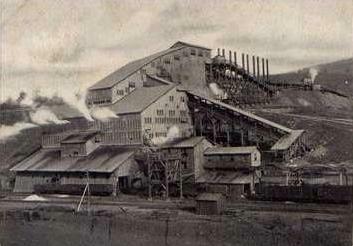 Bear Ridge Breaker, 1907. 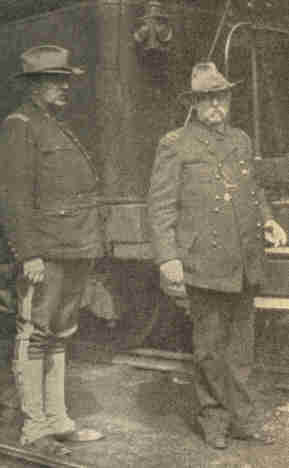 Click on the image above for a larger version. 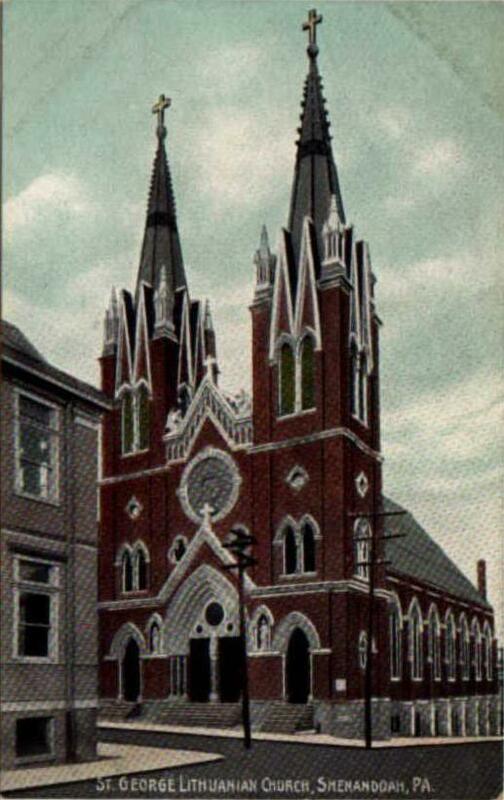 A nice color picture of Holy Family German Catholic Church, on the corner of Chestnut and Line Streets. 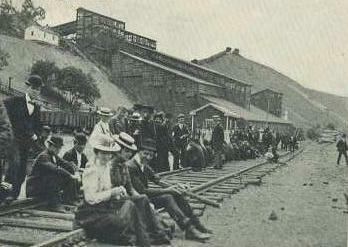 This photo was taken around 1907. 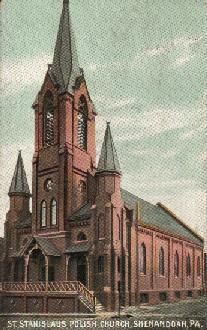 The church was built in 1870 but did not survive beyond the first half of the 20th century due to a mine subsidence.